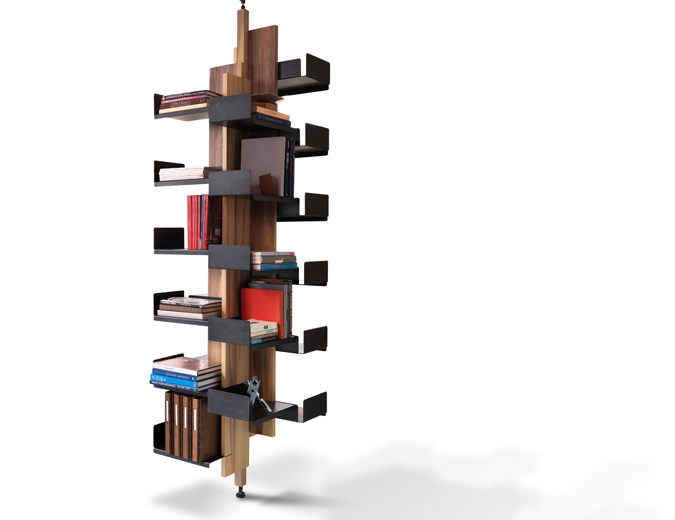 This bookshelf spins on bearings mounted to the floor and ceiling. Because it can be free-standing in a room, it can serve as a room divider, filtering the space between a living and dining area, for example. 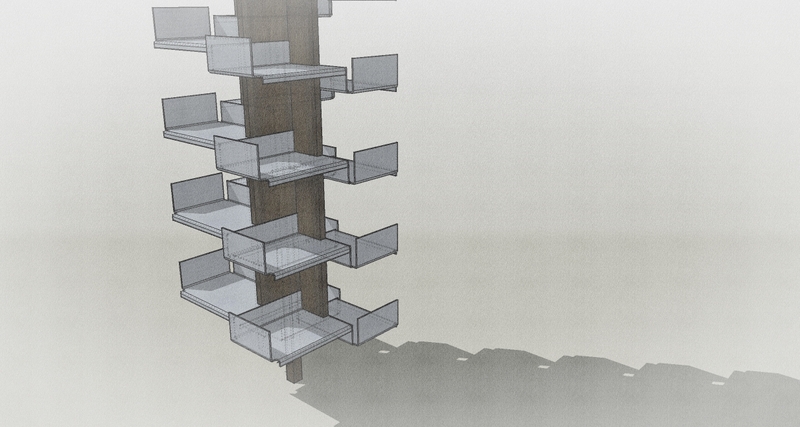 It also sits well in a corner, perhaps at the end of a couch or bed, its rotation allowing access to all levels. 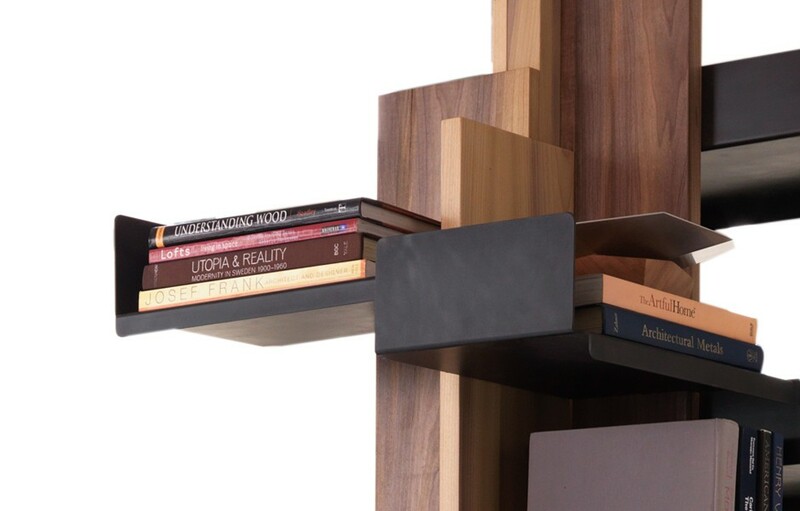 It can easily be customized for different ceiling heights, and made in different woods and metals.